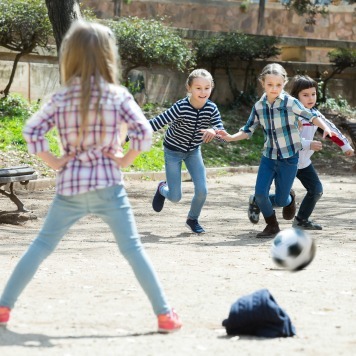 Try these outdoor games with the family to boost everyone’s activity levels and to create new family memories! Remember those days before Wii, Xbox and video games where you had to keep yourself entertained for hours? Remember hearing, “necessity is the mother of invention!” Not every house is filled with the latest technology or board games. But even if they are, why not put them in a time out and check out some old time favorites and new trendy games. Similar to hide and seek but with two teams of at least three people. One team is the hunters and the other is the hunted. Without the hunters watching, the hunted hide within predetermined boundaries. On the “go” signal, the hunted sneakily emerge trying to reach the safety base – a mound, bench or similar object. The hunters try to tag the hunted players before they reach the base, and the hunted try to reach the base. Set a timer or play on a warm, spring night to give the game an adrenaline rush! This is as simple as it sounds! Buy plastic cups and take turns stacking them upside down in different shapes quickly without them falling over and against a timer. Check it out on YouTube to see just how much fun it is! Bring your A-game for this foot-free version of soccer. Create two teams with equal players and place two goals on opposite sides of a yard using baskets or garbage cans. Have players run, jump and pass the ball down the field as they try to score a point in the basket. Too challenging for your little tyke? Then try these outdoor activities for your little ones. It may seem simple or silly at first, but this game is FUN! It’s a game played with a flying disc (similar to a Frisbee) and two hollow barrels (trash cans) in which your partner can deflect the disc into the barrel to score 3 points. It will likely turn into a family favorite at get-togethers or weekend parties. You may witness adults revert to childhood antics on this one –it’s very competitive. Use this an opportunity to teach good sportsmanship to the kids! Not your style? Check out our weekly schedule of summer activities that are fun, cool and out of school! This recess classic is easy to play at home in the driveway. Draw one giant square and then divide it into four equal squares that are labeled “A, B, C, and D,” respectively. With one player occupying each square, the person in box A bounces a ball into another square. The object is to keep the ball inside the square. If someone misses the ball, they are “out” and go to box D, or to the end of the line. If player B gets out, then each player moves up a box. The player in box A can make up rules to follow to make the game more challenging (such as only using your left hand). Have one leader stand at the end of the yard with everyone else at the other end. The leader calls out “green light” and a movement, like “crawl.” The players move in that fashion until the leader yells out “red light” and the players must stop. 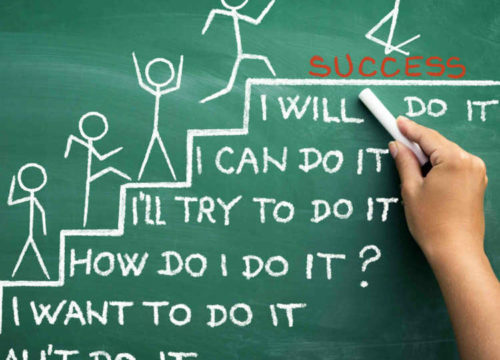 Whoever reaches the leader first is the next leader. Put a spin on this classic game by making up your own rules. For example, the first time through all the single spots have to be jumped on with your right leg, then switch to your left leg on the next run, or alternate legs each single square. Make a scavenger hunt list for your kids with items they can easily find in your yard. You can change this one up, so it never gets old. For older kids, you can add a timer to make the game more competitive. Really another excuse to be able to get your groove on! Play your favorite tunes and put one person in charge of randomly stopping the music. Whoever doesn’t freeze is out of the game! 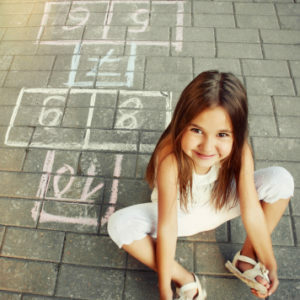 Check out more outdoor family favorite games from steal the bacon to baby in the air! 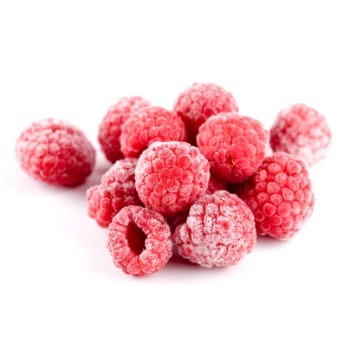 Get Razzed About Frozen Raspberries!